When you look into yourself to find out what is your interest, skills, traits and values for your life or job, career assessment is the method you need. It’s the evaluation tool that is helpful for students or any individual that still confused for what career they should take for their life to be able to become more satisfied and happy with one’s life. 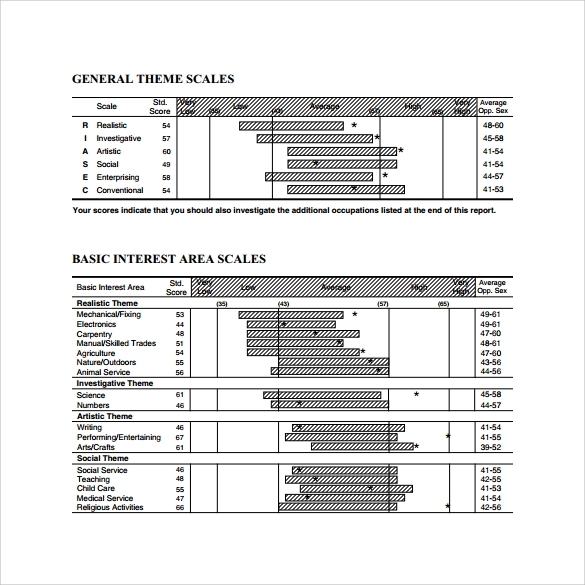 The Sample Assessment Templates format is downloadable that is composed of questions with some grading parameters with the help of career counselor to become more guided for the right work for a person. This career assessment must be valid and be in the interest of a person to be able to choose wisely and voluntarily. 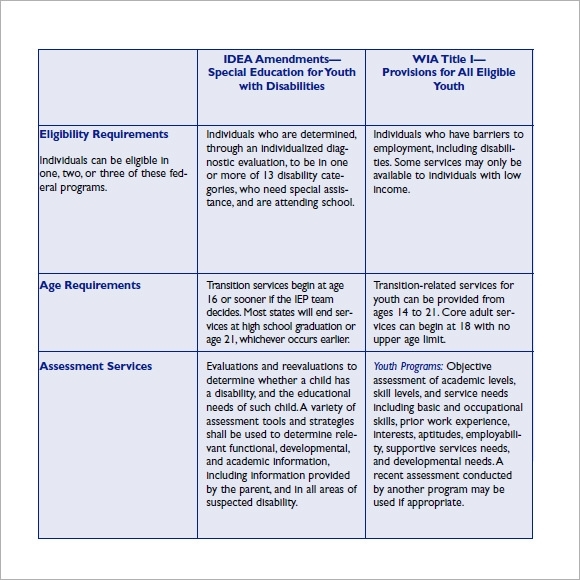 This complete assess guide PDF is a 3 column table showing the eligibility requirements, age requirements, and assessment services under IDEA Amendments – Special Education for Youth with Disabilities and WIA Title I – Provisions for All Eligible Youth. These are federal programs which provide special services for individuals with disabilities, individuals with low or no income, depending on the provisions for eligibility. 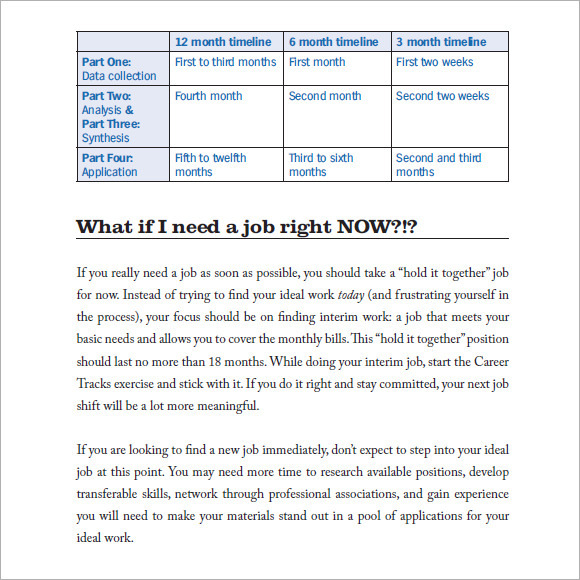 The Echoing Green Idealist Guide for first time job seekers PDF provides a comprehensive guide to first time job seekers so as to explain the dos and don’ts to them. It breaks down the time period for job search into 3 parts data collection, analysis & synthesis, application. The lengths of these pars vary according to the period of job search. 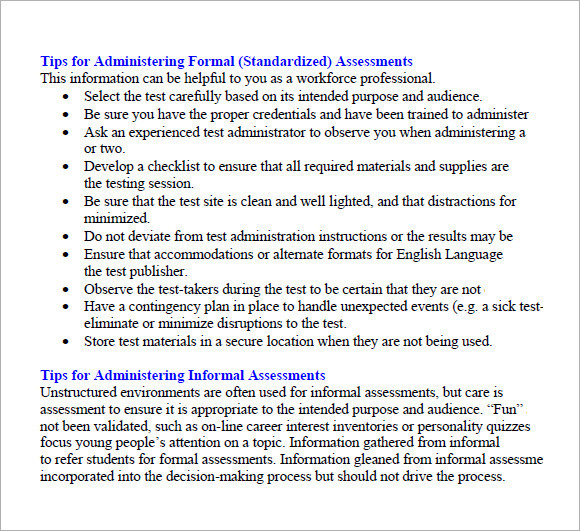 It also addresses the issue of immediate job requirement and the dos and don’ts in that case. 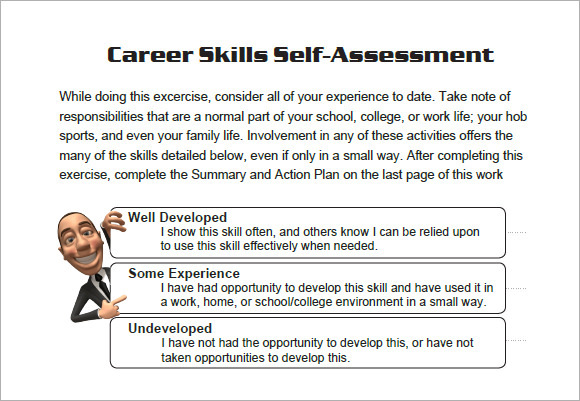 As the name suggests, this career self assessment PDF is a template which allows you to assess yourself and decide what areas are you comfortable in, and according choose a job for yourself. The entire list is broken up into 4 parts, namely “R” section, “A” section, “I” section and “S” section. Each section consists of a series of activities, which you see and decide for yourself if you’ll be able to do. This career skills template is a PDF which allows you to assess yourself based on your skills, such skills which can come in handy throughout the course of your career. It allows you judge every particular skill of yours under 3 segments- well developed, some experience, underdeveloped. Based on this you can prepare a summary of your skills and know which are your strong points and which aren’t. 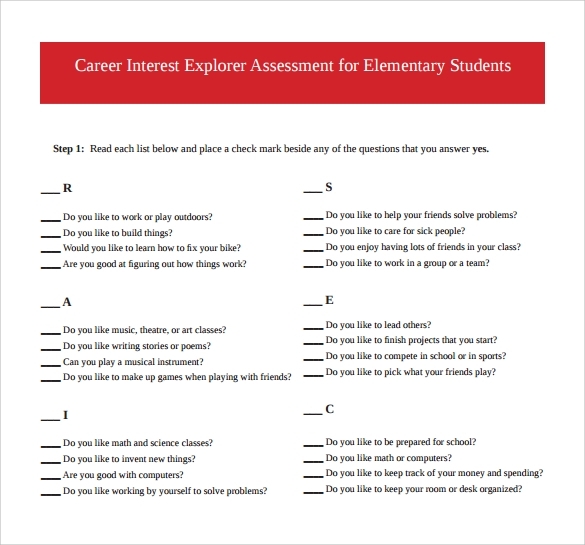 What Are Career Assessment Templates? Analyzing and assessing an individual’s skills and talents helps him a lot in better understanding himself and making informed career choices. A career assessment template does exactly that. It helps the user evaluate himself better so as to try and get some idea as to his strengths and weaknesses and also figure out what should be an ideal career choice for him. What Are The Benefits Of Using Career Assessment Templates? That is, it helps in measuring the effectiveness of each and every attribute possessed by an individual in various career possibilities and choices. It helps to understand an individual’s strengths and weaknesses. 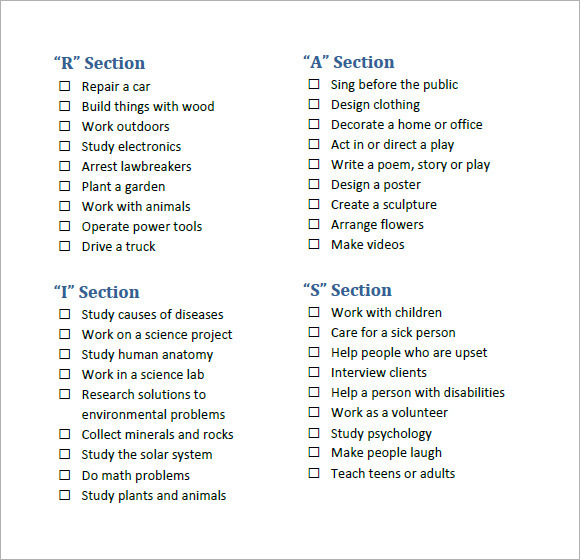 This analysis can then be used to choose a career that suits the talents and goals of the individual being analyzed. 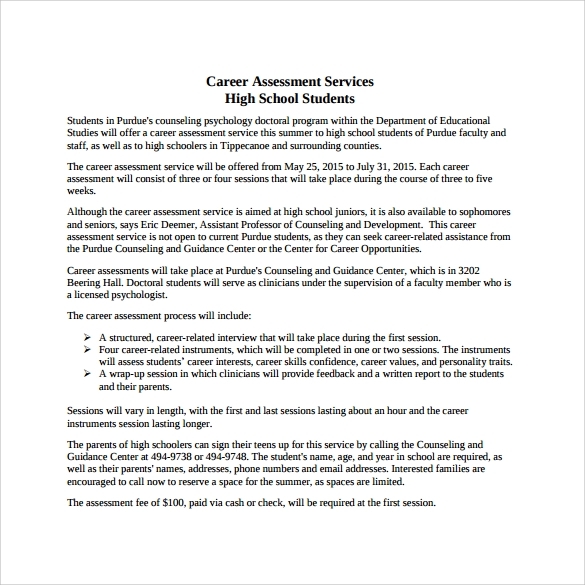 How To Prepare Career Assessment Templates? 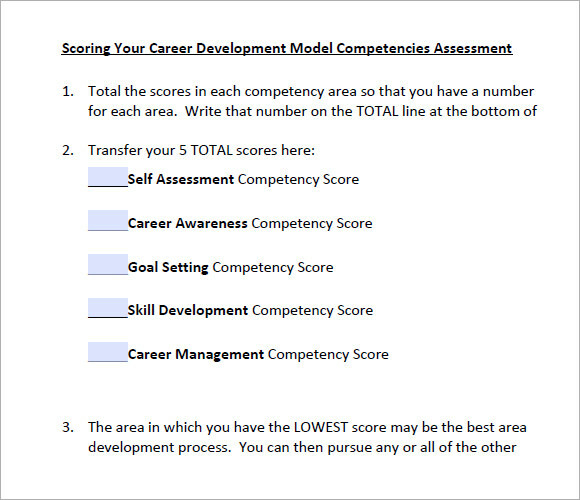 Career Assessment Templates cannot be prepared by anyone and everyone. It requires a lot of psychological study and detailed job profiling to understand, which qualities are suited for a particular job and which are not. Since career assessment template preparation can be a bit of a hassle, and not many people are trained enough to prepare a career assessment template, we bring you a wide range of pre designed templates to choose from which will make your job a whole lot easier.